There always seems to be something new going on in the world of marketing. It can be hard for entrepreneurs and marketers to keep up. While it’s important to not get distracted by everything new, these trends hint at what’s to come for brands and consumers. And even if you can’t predict exactly what the future holds, you’ll at least have an idea of the direction we’re going in. 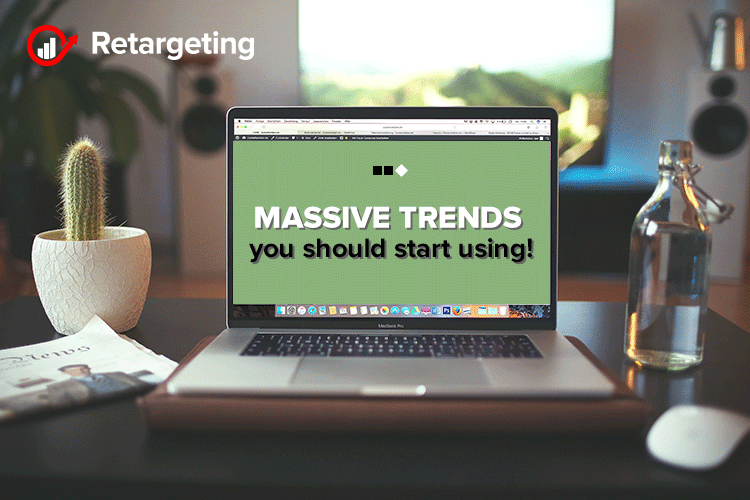 Here are some of the biggest marketing trends you should be paying attention to. Live video offers the ability to share an experience with a large audience from all over and invite them to comment and participate in real time. This adds up to a deeper level of engagement than you might get from a standard video. Just two or three years ago, this was considered innovative. Nowadays, live video is a feature present on most of the major platforms, including Facebook, Twitter, Instagram, and YouTube. There are also gaming-focused options like Twitch and Mixer to cater to a fast-growing community around the world. Snapchat was the first to give us social content with a 24-hour lifespan. Not everyone saw the appeal initially. Now that Facebook has taken Stories and successfully applied the concept to Instagram, the photo-sharing platform has grown into an even bigger marketing powerhouse. Instagram has also started rolling out clickable links for Stories. When you consider that driving traffic from Instagram to your site has long been limited to a single link in your bio, this is a potential game-changer. Also, Snapchat has announced a similar update too. This way, Stories aren’t just about engagement, they’re becoming a legitimate way to drive traffic to your website. As consumers spend more time in messaging apps than on social media, these apps have evolved to allow more than just an ongoing back-and-forth between friends. Direct messaging on Instagram now also lets you send links, which means sales and customer service got a lot easier. While chatbots enable automation, it’s the 1-to-1 human interactions where conversational commerce shines. Influencer marketing has been the talk of the town for years. Since they had the option to build an owned audience, YouTubers, bloggers, Instagrammers have amassed large followings and attained a status that was once reserved for real celebrities. Today, micro-influencers (around 100K followers) are getting taken more seriously by brands. While the big names charge from $3000 to $100,000 for a post or campaign, micro-influencers generally cost much less: a few hundred dollars to nothing more than a freebie of your product.